April 23, 2014 April 8, 2014 / Julie Brook, Esq. One of the most difficult concepts to accept for those with some form of “incapacity” is a restriction on their ability to drive. And taking away the car keys from someone else is one of the hardest things to do. Here’s an overview of how California’s DMV deals with driving capacity issues and what to do when an elderly client wants to get the keys back. Under Veh C §13800, the California Department of Motor Vehicles (DMV) may investigate the qualifications of any driver when it appears necessary after receiving information about a person’s ability to drive. Initiate an investigation and reexamination. Vehicle Code §§13800-13801 permit the DMV to investigate and reexamine for a variety of reasons a person’s ability to safely drive. One reason is that a report has been made to the DMV that a person has a physical or mental disorder that may affect his or her ability to drive safely. Send notice to the reported person. The DMV will send the reported person a notice that he or she has been scheduled for a reexamination and a DMV Form DS 326 that must be completed by the person’s treating physician. If the person doesn’t appear for the scheduled appointment or have the medical form completed, his or her driving privileges will be suspended. Reexamination by a hearing officer. The reexamination consists of an interview and may include a vision test, a written test, and a driving test. Hearing officer makes an order. Based on the information in the report and the reexamination, the hearing officer may order either that (1) no action be taken or (2) there be a restriction, probation, suspension, or revocation of the driving privilege. A person is entitled to written notice of the action and an opportunity to contest the decision at an administrative hearing. Veh C §13950. A physician must report to the local health officer who must report to the DMV any person having a disorder characterized by lapses of consciousness severe enough to impair one’s ability to drive. There is no communication standard for driving; the test is entirely functional. This means that even if a person can pass a written test, the vision and driving tests are determinative. 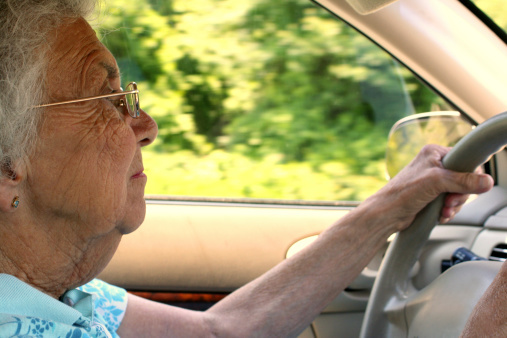 Elderly drivers are increasingly turning to litigation and challenging the DMV’s decisions to revoke their licenses by suing the DMV, their own physicians, and others who have filed reports as to their lack the capacity to drive. If your client is looking to go the litigation route, keep in mind that the Due Process in Competence Determinations Act (DPCDA) (Prob C §§810-813, 1801, 1881, 3201, 3204, 3208) applies, and thus so does the presumption in favor of capacity stated in Prob C §810(a). The DPCDA codifies standards for a court to use in determining whether a person has the capacity to perform particular acts in a variety of contexts, including contested determinations of capacity to drive. And whenever a client has questionable driving capacity, consider seeking an independent opinion. The American Medical Association’s Physician’s Guide to Assessing and Counseling Older Drivers suggests the use of an outside, objective opinion of the person’s driving by a certified driving rehabilitation specialist before pursuing a lawsuit. For more on assessing the capacity to drive and capacity in many other contexts as well, including a case study and analysis from a neuropsychologist’s perspective, turn to CEB’s Action Guide Capacity and Undue Influence: Assessing, Challenging, and Defending. This Action Guide now covers the new undue influence statute and recent case law on capacity to amend or revoke a trust.